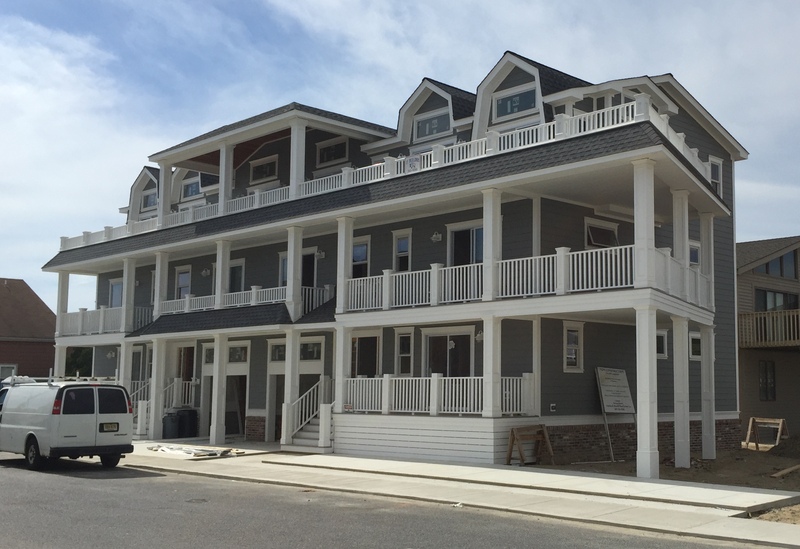 6400 Pleasure Ave., South, Sea Isle City, NJ - Farina & Boeshe Real Estate Co.
Distinctively designed by Redfern Ocean Developers, built by JF Builders, this unique side by side townhome under construction on an over-sized corner lot offers approximately 2900 square feet of living space. 6 bedrooms & 5.5 baths. Beach views and just steps away from preferred beach area. 4 stop elevator. Upgraded materials, appliances and amenities. Late summer/early fall completion. Pre-completion priced at $1,499,000.